This article is the second part of the multi-part series on understanding the capabilities of Salesforce Einstein. This article explains the set of Salesforce Einstein products and the underlying use cases. Note: You may refer to the first article here. 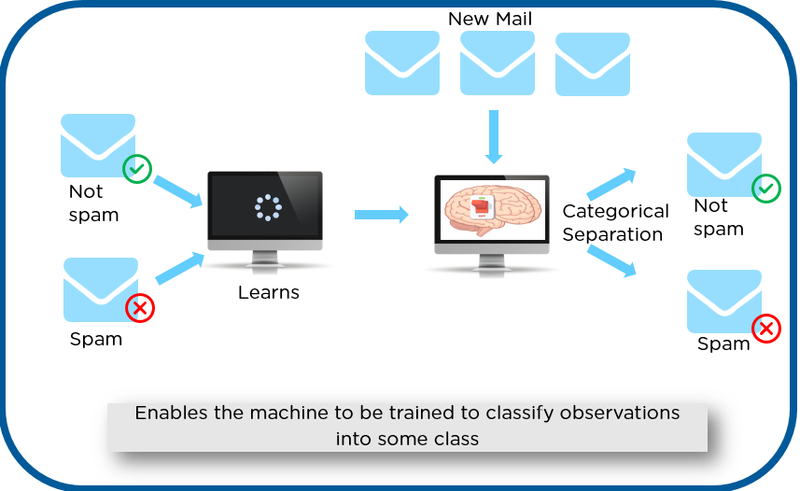 This article explains the basics of Artificial Intelligence (AI) and gradually moves to Salesforce Einstein. Okay, Let us get started. What do you think Einstein is? Well, In very simple terms it is “AI for CRM”. 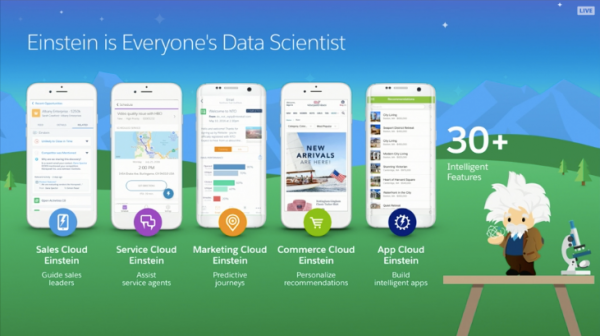 Actually, behind the scenes, Salesforce Einstein is not a Single product but a set of products. Salesforce bought quite a lot (9+) of companies a few years back to create a presence in the ‘Artificial Intelligence space related to CRM’. The features are designed to discover insights, predict outcomes, recommend actions and automate tasks. 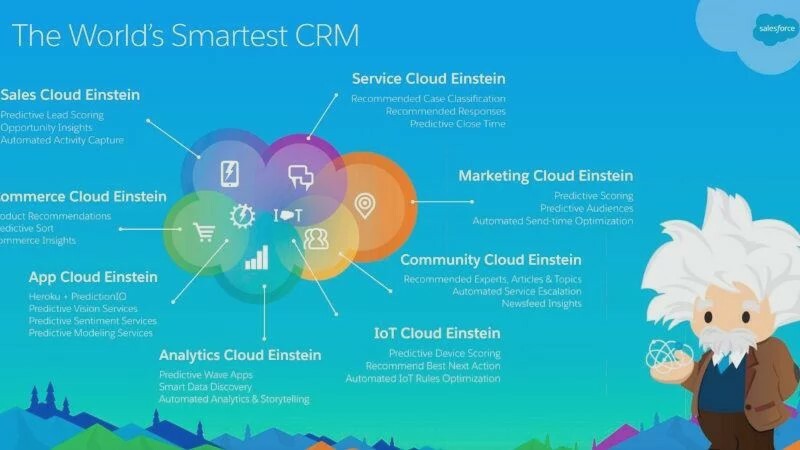 Essentially, Einstein is Your Smart CRM Assistant. Before we start with Einstein Use Cases and Products, let us try to understand how Machine Learning works. Why? Well, under the hood, Einstien products are using Machine Learning for almost all of its products. Amazon and Netflix Recommendations for products you buy and movie recommendations respectively. Spam Filters of your favorite email account (e.g. Gmail) keep on learning as the new data (spam messages) comes on. Supervised learning is when you have knowledge of the input (X) and the output (Y), then you “supervise” the program in predicting the right outcome via trial and error. This means mapping input data to known labels, which humans have provided. 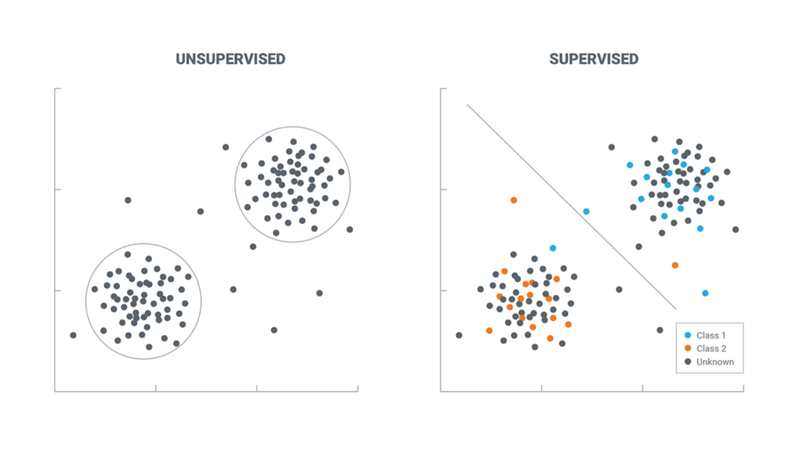 Unsupervised learning is when you have zero knowledge of the output and you want to try to find patterns or groupings within the data. As said earlier, in Unsupervised Learning we try to identify the patterns. e.g. let us say a company has a large volume of a customer order (purchase) data and it wants to find ways to classify the customers into various groups. Using Unsupervised Learning algorithm, we can identify the patterns from the Customer data (in this case buying habits) and create Customer Groups. As a first step, you define a problem. The next step is to train and evaluate a model. Evaluate the performance of the model continuously and as required modify (optimize) the model. Einstein products are based on Machine Learning models. Every machine learning model needs a lot of data to make better predictions. Of course, This is the same with Einstien. Most of the time, as an admin or even a developer you will not create models in Salesforce but use the Salesforce Einstein features (which are based on models). e.g. When you create a Story in Einstein Discovery, the analytical model building takes place automatically. With Einstein Products, many decisions can be made automatically (of course in many cases, human intervention is required). What are the Einstein Products? First of all, we need to understand that Salesforce has embedded a lot of Intelligence into the existing Clouds. e.g. 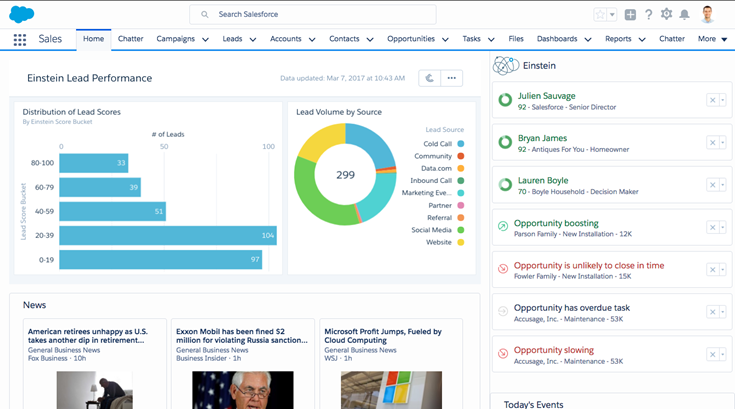 there are at least 8–10 Einstein features in Sales Cloud itself (e.g. Intelligent Lead Scoring, Opportunity insights, Automated Contacts, etc.). Similarly, almost all the Salesforce Clouds have Einstein features (e.g. Service Cloud, Marketing Cloud, Commerce Cloud, etc.). Additionally, Salesforce provides a lot of other Einstein Products. 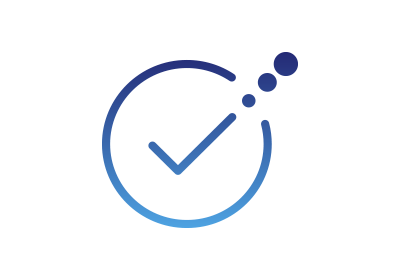 Essentially, Einstein Out-of-the-Box Applications and Einstein Platform are the two categories of Einstien. Here is the list of the Products. More on it later. And how about the Use Cases? Make Predictions based on data supplied (in most cases, the data is already available on the Salesforce platform). e.g. Identifying Customers with Late Payments. A service rep can classify the tone of inbound customer emails as either positive, negative or neutral. This could be achieved by Einstein Sentiment. Immediately answer specific, routine questions for customers like updating passwords or order status updates (Einstein Bot). If you’ve ever used Siri or Alexa, you’ve used a bot already. So you can see there are already a lot of use cases, Einstien is trying to solve. Einstein Discovery exposes relevant facts and themes (more on this in a minute) in your data without you building sophisticated software and statistical models. It generates unbiased answers, explanations, and recommendations. Einstein Discovery in Analytics requires the Einstein Analytics Plus license, which is available for an extra cost. What happened? What was significant or unusual? Why did it happen? What are the factors that possibly contributed to the observed outcome? How do some factors compare with other factors? What might happen in the future, based on a statistical analysis of the data? Is there a trend, or does this data represent an isolated incident? What are some possible actions that could improve the outcome? Einstein Discovery can do analysis on Customer Purchase habits and identify key insights. e.g. Which are your top customers? Which are your top-selling products in a specified location or geography? Why (probable reasons) certain products not selling as much in one location compared to others? Which are the potential areas (based on some critical field values for example) of Service that could be enhanced for a better customer service experience? hmm…Someone told me Einstein Analytics is a bit Special? Let us talk about Einstein Analytics in the next article. This is one of the biggest areas of Salesforce Einstien. In fact, the only Certification salesforce offers currently is in this area. I will be covering some great features of Salesforce Einstein in the next blog. Additionally will be covering Einstein Analytics. Stay tuned. I am a passionate lover of Salesforce.com as a company and like most of the SFDC Products. I have 19 SFDC Certification and Accreditations including System & Application Architect Certifications and also some of the Product Certifications (e.g. Field Service Lightning, Marketing Cloud Email Specialist, Marketing Cloud Social Specialist, Sales Cloud, Service Cloud, Community Cloud, etc.). I love working as an Architect and Project Manager in SFDC Implementation Projects.